ABC Breeders are small kennels on the mid north coast of Australia, it's run by my husband bill and myself. We own 4 registered great danes. We breed once or twice a year and only then with the intention of keeping the best for the show ring, the other puppies go to loving pet homes. 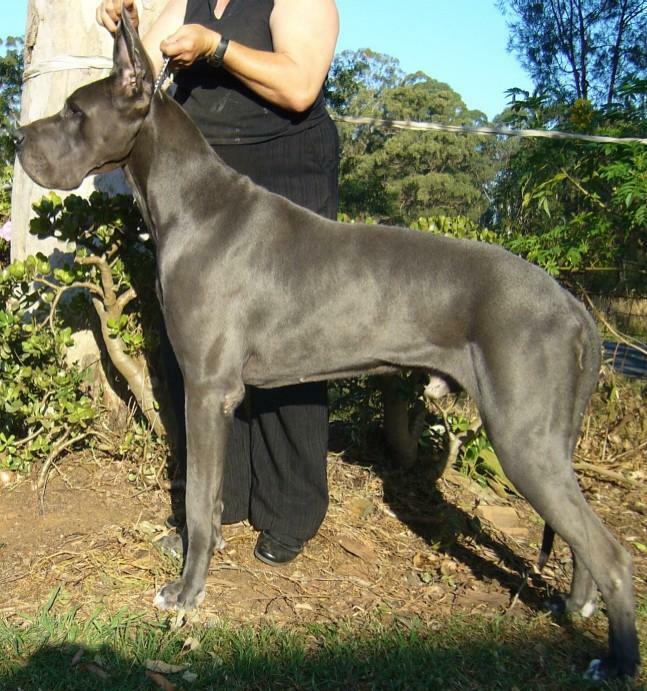 We strive to breed great danes who have good bloodlines, good temperaments, a minimum of health issues and sound conformation and movement. Our danes are bought up as part of our family and are exercised each day, either by walking or a free for all run in my horses dressage arena (without the horses), or in one of our fenced paddocks. They are an awesome, if not scary sight when they are in full flight. Especially when coming towards us, all at once or meeting each other around 7-8 foot in the air. I worry they may hurt each other but they never do. When we breed puppies most of the first 4 weeks of their lives are spent inside with us, (actually i'm obsessed about their welfare my hubbie, bill says). We make sure they are well cared for, socialised and confident about meeting new people and other animals. One of the reasons we enjoy showing our danes is, it gives us an opportunity to meet lots of new people. We have made some very special friends at shows. The dogs love showing also as they have our undivided attention, they also love meeting new friends. they are affectionate without being "over the top", downside they like to lean on people. they are good watch dogs without being aggressive, their sheer size tends to make people wary. They don't bark unless there is a reason. they may be big, but are very sensitive dogs, hating to get in your bad books, which makes them easy to handle if trained correctly. they are very intelligent (although they are sometimes portrayed as otherwise). they are great company, ours love to watch tv with us but prefer they be on the lounge and us on the floor, (if they can get away with it). they are more 'human' than dog. You are never lonely if you don't have another person in your life. they don't eat as much as people think because they tend to lay around and not use a lot of energy. they are great when out walking, especially when walking up steep hills, if you get tired they don't mind if you hang onto their collar and need a pull along. one of the nicest things about them is that they make everyone who meets them feel that they are the most special person in the whole world. Your Puppy Package contains records of your puppy’s visits to the Vet, vaccination/microchip records, worming, what was fed up until 8 weeks old and feeding/exercise advice for your dog when older. NOTE: For puppies delivered by transport, their Certificate of Registration papers will be sent Registered Mail, as they may get lost. We can usually send the Puppy Information Sheets with the transporters or we can give them directly to people on pick up of the puppies. All of our puppies are Registered and come with Registration papers some are Main Registered some Limited Registered. Main Registered puppies can be shown and bred from and Limited Registration provides you with a Certificate showing the breed lines but the puppy can’t be shown or bred from in this country. Call us today on 1300 273 514or email us for more information. 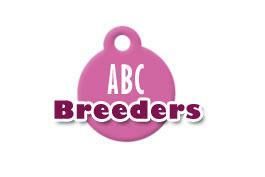 ABC Breeders has 1 more gallery.